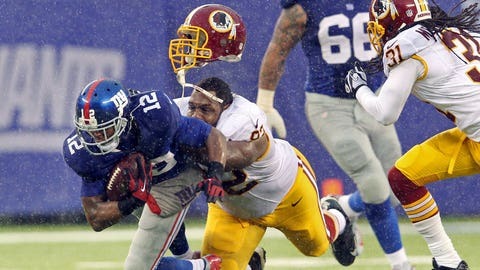 It seems only fitting that the Washington Redskins and New York Giants are finishing their seasons on a rainy day in New Jersey. RG3 isn’t playing. Eli Manning has left with an injury. Did we mention it’s raining, too? Yeah, not a great day at MetLife Stadium. But at least we got this photo of Chris Baker taking down Giants wide receiver Jerrel Jernigan. We present two more great photos from the game. 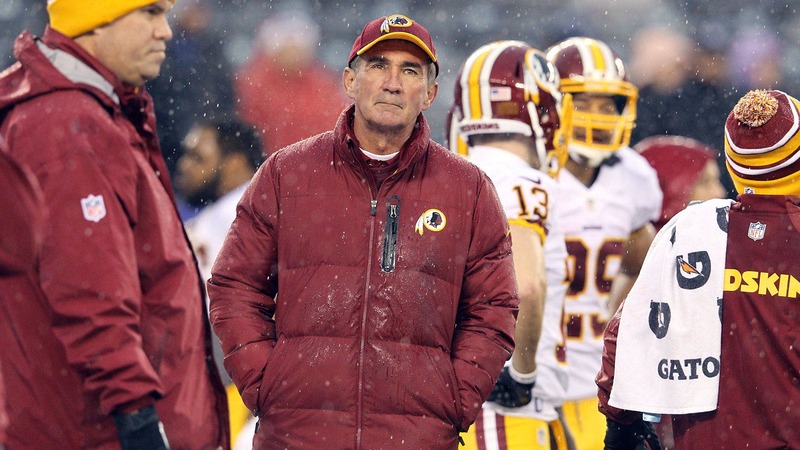 Here’s Mike Shanahan probably thinking about not having to worry about the Redskins anymore, as it looks like he’ll soon be out of a job. 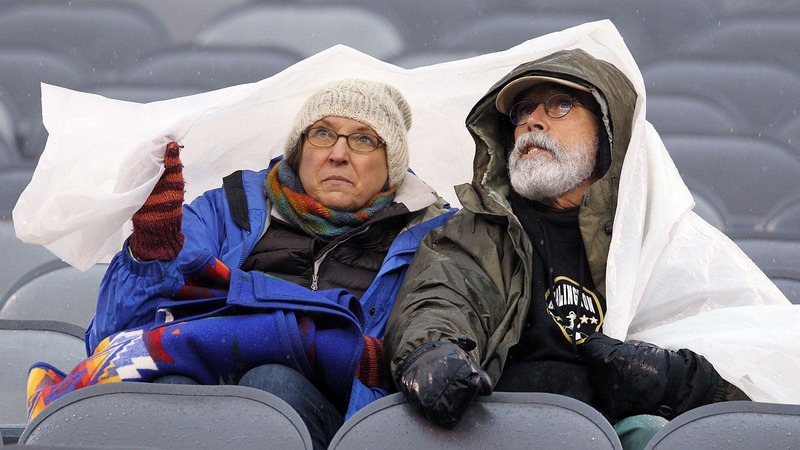 Then you have these two diehards just taking in all the magic of a Week 17 matchup between two underachieving squads.